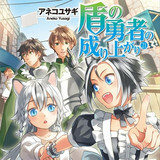 In the web CM for the manga's next 13th tankobon volume, it was confirmed that Aneko Yusagi's The Rising of the Shield Hero fantasy novel series and its manga adaptations have printed an impressive 6.2 million copies since its launch in August 2013. It also means the whole series has added another 1.2 million copies only in two months. Hit the jump for more details. 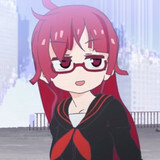 One week after its final 12th episode was aired in Japan, director Tatsuki posted the "12.1 Episode" of his latest TV anime Kemurikusa on his official Twitter and his independent anime production group irodori's YouTube channel. The 80-second clip tell a sequel story to the TV anime's last episode, so it contains a spoiler of the anime's climax. Six weeks after its CD single's release in Japan, the Kemono Friends project's official YouTube channel started streaming a four-minute full version live-action music video for "Notteke! Japaribeat" (Let's Rave! 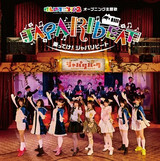 Japaribeat), the OP theme song for its ongoing TV anime second season. Check out Doubutsu Biscuits and PPP's cute performance after the jump! 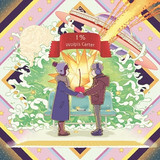 The official YouTube channel for Japanese male singer Wolpis Carter, whose nickname is "A kind of boy who wants to sing in high voice," has posted a four-minute full music video for his first single song "1%" to be released on March 20. The lyrical song is now used as the ED theme for the TV anime The Morose Mononokean Ⅱ. Check out the fantastic anime MV after the jump. 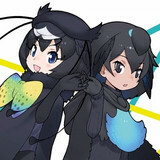 On the release day of their debut CD "Starry Story EP," the Kemono Friends Project's official YouTube channel has also started streaming a 90-second music video for "Kimi wa Kaeru Basho," the second ED theme song for the ongoing Kemono Friends TV anime second season performed by its newly-formed two-member unit Gothic×Luck. Watch their first live-action MV after the jump! 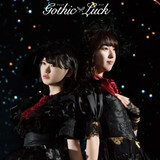 The Kemono Friends Project's official YouTube channel has posted an eight-minute all-song preview for its newly-formed two-member unit Gothic×Luck's debut ED "Starry Story EP" to be released on March 13. Two songs from the five-song EP are used as the ED themes for the ongoing Kemono Friends TV anime second season. Check out their debut songs aftet the jump! 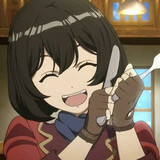 Beating up sky pirates is hungry work, and when you don't have access to pancakes, Cup Noodle is the next best thing, or at least that's the rationale behind a limited edition collaboration between Nissin Group and ace pilot TV anime, The Magnificent KOTOBUKI. Hit the jump to learn more. 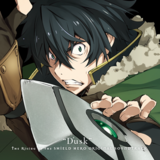 The TV anime adaptation of Aneko Yusagi's fantasy light novel The Rising of the Shield Hero will enter its second cour in its upcoming episode to be aired on April 3. It is confirmed that both five-member Japanese dance/vocal unit MADKID and Chiai Fujikawa will provide the next cour's OP/ED theme songs following the first cour. Hit the jump for more new information. 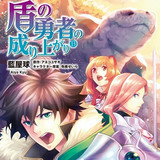 On the release day of the novel series' latest 21st volume in Japan, it was announced on the author Aneko Yusagi's official blog that The Rising of the Shield Hero fantasy novel series has printed an impressive four million copies (with one million by its manga adaptations) in Japan since its launch in August 2013. Hit the jump for more details. 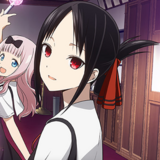 Japanese part-time/casual job information site an is now inviting one person who can serve as a part-time butler for Kaguya Shinomiya, the main heroine in the KAGUYA-SAMA: LOVE IS WAR TV anime, at a promotional event for the anime to be held in Tokyo next month. The pay for the one-day job is 200,000 yen (about 1,800 US dollars) and a gold bar. Hit the jump for more details. 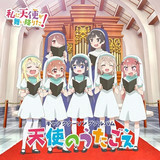 Flying Dog's official YouTube channel has started streaming a four-minute preview video for "Tenshi no Utagoe" (The angels' singing voices), the forthcoming character song album from the TV anime WATATEN! : an Angel Flew Down to Me to be released on February 27. Check out the seven main girls' singing voices after the jump!